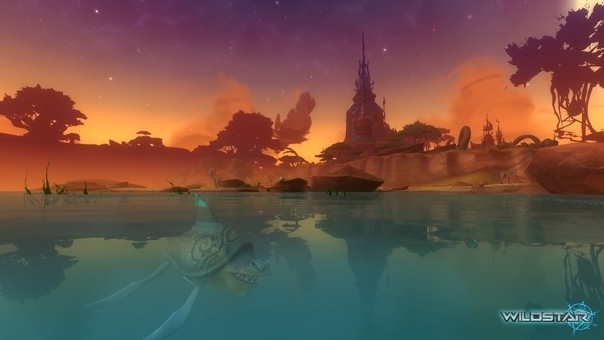 Troy Hewitt, Loic Claveau and David Bass from the WildStar Community Team share their thoughts on growing the community, ArkShip, beta and beyond. 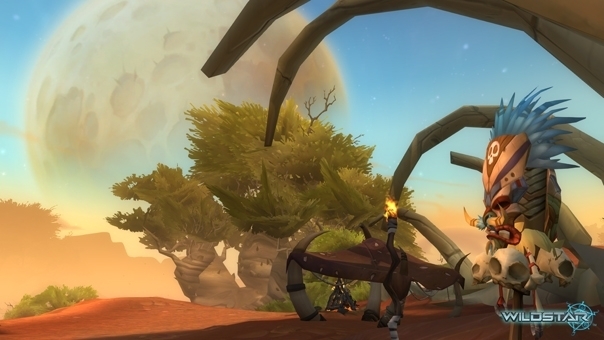 MMOs were once described to me as ‘The Longest Show on Earth’. 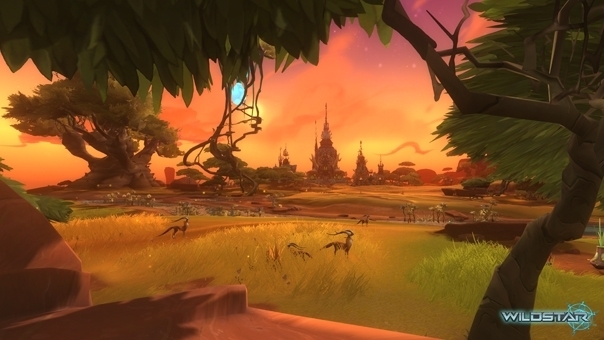 For WildStar that show started earlier than most, after being launched at Gamescom 2011. When Carbine Studios’ flagship title launches in late 2013, the community team of Troy Hewitt, Loic Claveau and David Bass will have been courting fans and answering questions for over two years. It’s a cold day in the coastal town of Brighton when I manage to catch up with the trio. A small group of us has been given some hands-on time with the MMO, and the conversation is bristling with excitement as we share our experiences over lunch. As I sit down to interview the team about their approach to nurturing the WildStar community, I look for signs of jetlag on their faces. But there’s nothing to be found except infectious enthusiasm. Like kids with the keys to the candy store, this is when Carbine pulls back the curtain and does the big reveal. I can tell that they’re revelling in it, partly because of all the cool news they can finally share, but also because they can’t wait to hear from the community. And although my fingers itch with a need to get back to my Spellslinger, I can feel that anticipation all too clearly. As we talk, it rapidly becomes obvious that there’s no clear route into community management. All three have had a spell in games journalism, with Claveau writing for one of the largest gaming magazines in France. For Hewitt though, it was his time at the YMCA that served as the foundation of his approach. “The interesting thing about going from the non-profit world to games is there are a lot of corollaries between building communities in the real world and doing it online. I don’t mean to sound like I’m talking to children or creating an experience for children, but running a community is a lot like running a summer camp. You’ve got to have some arts, you’ve got to have some crafts. You’ve got to have some activities, you’ve got to recognize and encourage their contributions. The skillset is the same; it’s just a different venue.” After eight years working on Ultima Online, The Matrix Online and Pirates of the Burning Sea, Hewitt now heads up the team as Community Director at Carbine. Claveau is the veteran of the group, having spent fifteen years in the gaming industry. After starting out in QA on Dune, he decided he wanted to play all the games rather than testing just one. He switched to journalism, writing about MMOs like Meridian 59 and Ultima Online just as the genre started to emerge. It was the latter that helped him make his mark, inspiring him to write a column named ‘The Chronicles of Ultima Online’. “And that struck a chord with a lot of players, even those that didn’t play the game. We were receiving emails saying ‘I don’t play the game, I don’t have the game, but I love to be able to read your short stories.’ Some people told me they started because they were reading”. 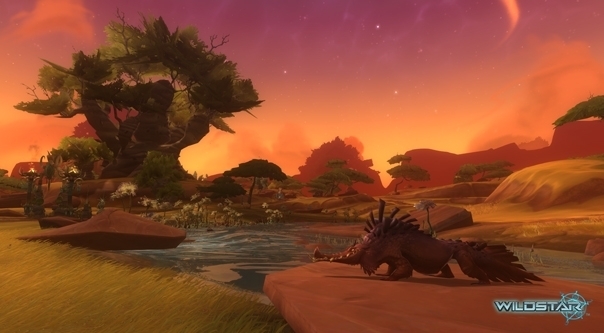 From there, Claveau moved to SOE as the French Community Manager for EverQuest II, before joining NCsoft in Brighton. Initially working on Guild Wars, City of Heroes and Aion, it’s there that he met Hewitt and the team at Carbine, joining them as Global Community Manager. Bass is the newcomer of the team, having been with Carbine for six months as Senior Community Manager. Hewitt and Bass have crossed paths before though in Pirates of the Burning Sea, with Hewitt eventually acting as a mentor for moving into the industry while Bass finished college. “I didn’t even know how it happened, but I got very involved in the Pirates community. It’s weird because it really wasn’t a game that I normally would have cared about, but the community was really good. And through getting involved in the community, there was one day where suddenly I was ‘Wait, there’s a job where you get paid to hang out with the community? That’s like a thing you can do for a living?’ And then I started just annoying Troy every couple of days…” After an internship at Seattle, Bass went on to work at Cryptic and later Gazillion, before switching to BioWare as part of the community team on Star Wars: The Old Republic. After having spent several years working in publisher-based community management, Claveau was eager to stress the importance of being part of a developer-based community team. “I’m plugged in with the developers, the people who create it, so in a way I can almost facilitate it to some degree, where I would give my feedback and it’s just that human bond you have with people, right?” Hewitt expanded further, stressing how important it is for them to be involved in the daily goings on. “That there’s no talk to so and so to get permission to talk to so and so, if there are questions or issues, these guys are free to go in. To the degree that, as time allows, these guys get to participate in the creation of and discussions around features, and how those features will impact the community, or community building, or even just because if someone has a passion for eSports, I feel that he should be the expert in hanging out with the people that are creating the systems that might fit into his passion.” Claveau was one of the earliest TV journalists with an interest in eSports, covering the first WCGC in Korea. “Now we repost the conversation, but we also grab someone in the studio, say ‘Hey, read this conversation, tell us what you think. Do you agree with people, do you disagree with people?’ And that was all because of one of the fans suggestion, and I was like ‘why didn’t we think of that?’” By highlighting good questions in their Uplink Analysis blogposts, the team also hopes to encourage more people to join the conversation.